It’s been 12 years in the making but fans of the popular Diablo series are finally getting their wish. Diablo III servers were activated at midnight PDT / 3am EDT but unsurprisingly, the launch has been marred by a high volume of traffic that crashed servers in the US. A large number of gamers were unable to activate their copy of Diablo III and play the game at launch, receiving the following message instead: “The servers are busy at this time. Please try again later (Error 37).” The issue became a trending topic on Twitter as frustrated gamers used the hashtag #error37 to voice their grievances. ComputerAndVideoGames notes that Blizzard addressed fans this morning, telling them to wait and try again if they were unable to log into the game. At the time, the company said that new servers were being launched and that Battle.net had been taken offline. A quick check at the Diablo III forums shows that some people are still experiencing issues this morning while others are able to log in without incident. In fact, some players have already finished the game completely in seven hours, others in twelve. Blizzard sold more than two million preorders for Diablo III and held more than 8,000 midnight launch events at retail stores worldwide but many fans haven’t been pleased with the company’s decision to require online activation to play the game. It’s hard to believe that Blizzard didn’t see this one coming after the title became their highest pre-sell of all time. But really, nobody should be surprised at the server snafu. It’s the same story every time a high-profile game launches because the developer / publisher behind the title simply doesn’t allocate enough servers for the initial hit of traffic when the game becomes available. 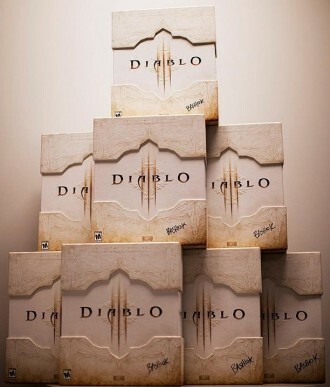 Either way, the wait is now over and Diablo III is here. We would love to hear your feedback on the server issue and the game in general in the comments section below!